Xiaomi announced the Redmi 6 and the Redmi 6A last week, but a third phone was also rumored to join them. Now the company cleared all doubts and posted on its Weibo profile an official launch date of the Redmi 6 Pro - June 25. 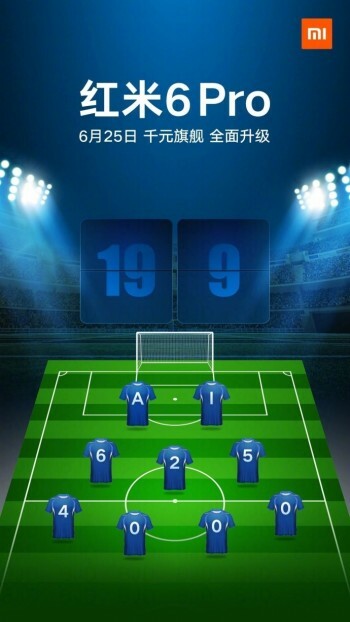 According to the poster that is World Cup-themed, it will have 19:9 screen ratio, meaning it will arrive as the first Redmi with a notch. The poster reveals all the key specs lined like a football team (which is technically missing a player). The Redmi 6 Pro will have AI capabilities, most likely in the camera menu. The chipset will be the Snapdragon 625 which might be old but is reliable and cheap. The 4000 number in the defense is most likely the 4,000 mAh battery capacity. Xiaomi Redmi 6 Pro, is that you? 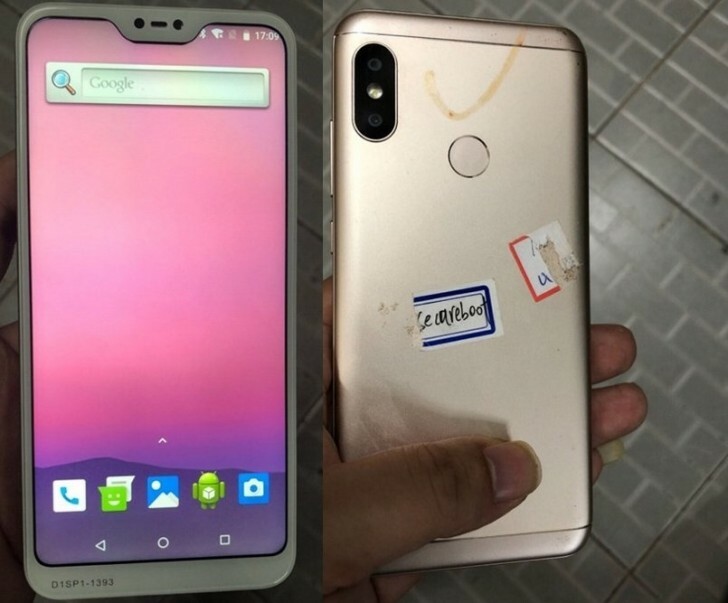 We already saw some pictures of a Xiaomi phone with a notch that looks like the real deal. We will know for sure once the Redmi 6 Pro is outed on Monday along the Xiaomi Mi Pad 4. According to previous reports, the phone might need up to two months to appear in India and other global markets. What's the difference when virtually both SOC performs the same where 625 has a little advantage over the other on paper.